Falling leaves aren’t the only thing to worry about this season. Football. Bonfires. Comfy sweaters. Pumpkin spice. Halloween. There are so many things we associate with fall, and yet back pain generally isn’t one of them–but it should be. Back pain can occur along any part of the spine, usually as the result of injury or overuse of muscles, ligaments, and joints. Running. Jumping. Bending. Twisting. Lifting. These movements all put additional stress on the spine which can result in sprains and strains that, when combined with inflammation, can cause chronic pain that can continue or worsen over time if not properly treated. So how can you reduce your chances of experiencing back pain this fall? Consider these tips for safely participating in fall activities! Be careful not to “overdo it” when performing household maintenance. As the temperature (and leaves) begin to change, we turn our attention to the mundane tasks we need to accomplish in order to prepare our homes for winter. Whether it’s clearing gutters, winterizing gardens, fixing small plumbing leaks, or insulating pipes to prevent freezing, these yearly chores put added stress on our back and shoulder muscles. Remember: pain is your body’s way of telling you that you are doing something wrong. It may not seem like it but gardening, raking leaves, and plumbing are all forms of exercise. Before starting any chore, warm up! Spend five to ten minutes stretching and begin with lighter activities. Take regular breaks, stay hydrated, and stop if you begin to feel muscle weakness, tingling, or pain. Practice proper posture when raking leaves. Weekends in the fall were made for raking leaves. That crisp autumn air paired with the soft crunch of leaves underfoot makes for a pleasant afternoon. However, raking is a repetitive motion that requires a lot of bending, twisting, and lifting. Lower your chances of straining back muscles by practicing good posture and using the right rake. Rakes come in various lengths and sizes to accommodate different body sizes. Choose a length and width that won’t force you to overstretch or lift too-heavy of a pile. Strengthening your spine can be as simple as practicing proper posture when sitting, standing, or exercising. The same way there’s a proper form for lifting weights or hitting a golfball, there’s a proper form for raking. Keep your back straight and lift with your knees and hips. 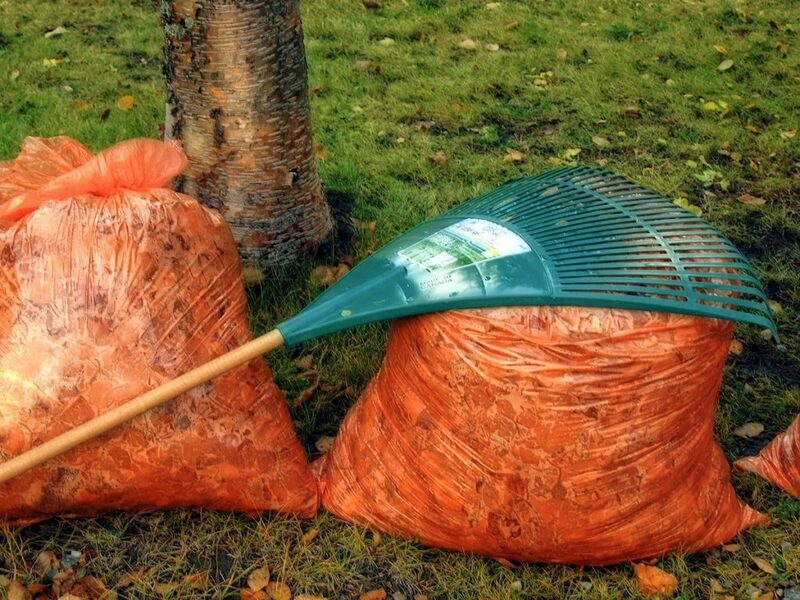 To alleviate or reduce muscle strain, try switching hands every ten to fifteen minutes or rake leaves into smaller piles. Make William Capicotto MD your first choice for surgery. No one wants to be sidelined from their favorite fall activities because of back pain. If your back pain is debilitating, we invite you to call our office to schedule a consultation. At William Cappicotto, we restore motion to your spine so you can move on with your life.